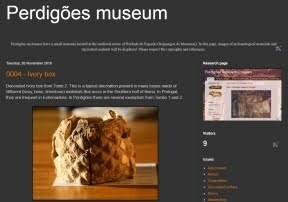 New paper on Perdigões enclosure. 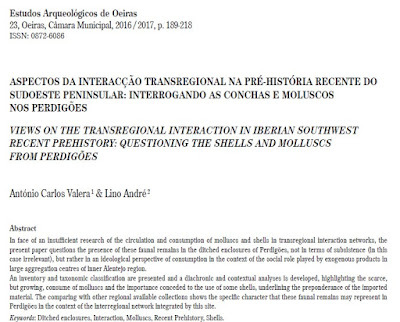 This one about the social role of molluscs and mollusc shells in the site. The main conclusion is that the consumption of molluscs and shells is mainly an issue of ideology, rather than subsistence, in the context of transregional interaction and use of exogenous materials. The majority are sea or estuarine species and, of those, it was the shell (not the mollusc) that circulated the most. Pecten maximus is one of the main presences, but in different contexts according to chronology: in depositions in ditches and pits in the Neolithic Perdigões, and a lot in funerary contexts during the chalcolithic. 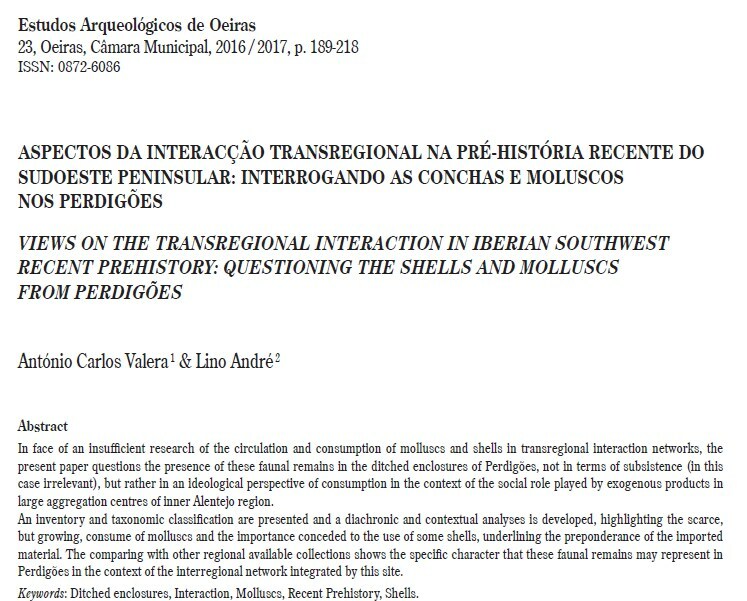 These and some other interesting aspects of molluscs use at a local and regional scales are discussed in the paper (in Portuguese), where large ditched enclosures show differences regarding smaller open or walled sites.